The Last Magic Summer | The Gab Lab! It snuck up on me. I haven’t prepared. But lets face it, are the mary jane shoes, class sweater, and wand ever really far from your grip? At this point I would think I would have graduated to teacher wear. But, then again I look the same now as I did in HS. So whatever. Last minute plans to meet up are afoot. The final book is locked away in its crate. I dare not get half way through and then take a wee peek at the last 20 pages to guess at what is going on. So here we are at this last golden year of movie and book. Lets enjoy. 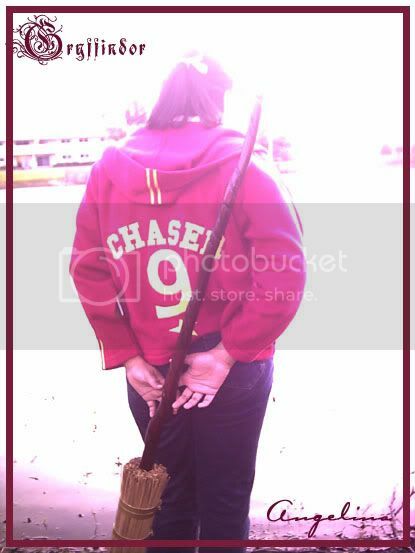 Think I should go in my student wear or my quidditch jacket? This entry was posted in Blog, Cosplay, Life, Movies, TV, Celebrities, Sewing. Bookmark the permalink.